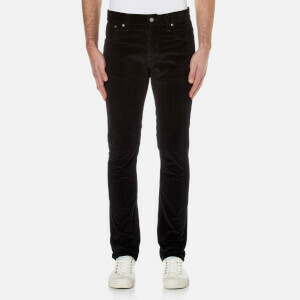 Men's black skinny jeans from Versus Versace. 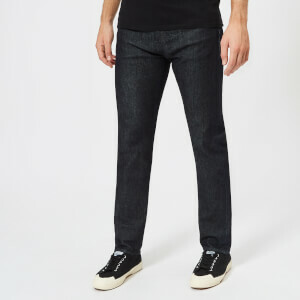 Cut from stretch denim, the slim jeans have been constructed with a button fastening, zip fly and classic five pocket styling. Tonal stitching keeps the design clean, while a branded patch with 3D lion head motif adds a stamp of brand authenticity to the rear waistband. Finished with silver tone rivets. 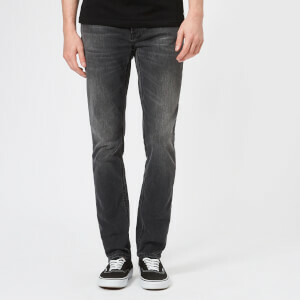 Model is 185cm/6'1" and wears a size 32.